Well, most of the pros will swear by the fact that to choose a wine you need to consider the flavor, aroma and the feel of the wine. But there is one expert tip that you can consider while going for wine at a dinner party. A great idea is to pair your wine with the type of food for dinner. Wine is the perfect partner for a meal, and some brilliant choices are dependent on the food choice. It is not always about good wine, but what is the right wine for a particular meal. A glass of great wine is not always going to shine with the wrong food type. So do not make this amateur mistake. For the perfect wine pairing, you need to look for the essential characteristics of sweetness, acidity, tannin, alcohol content along with the body. For a comprehensive list of wine selections, you can visit Sokolin Wines. 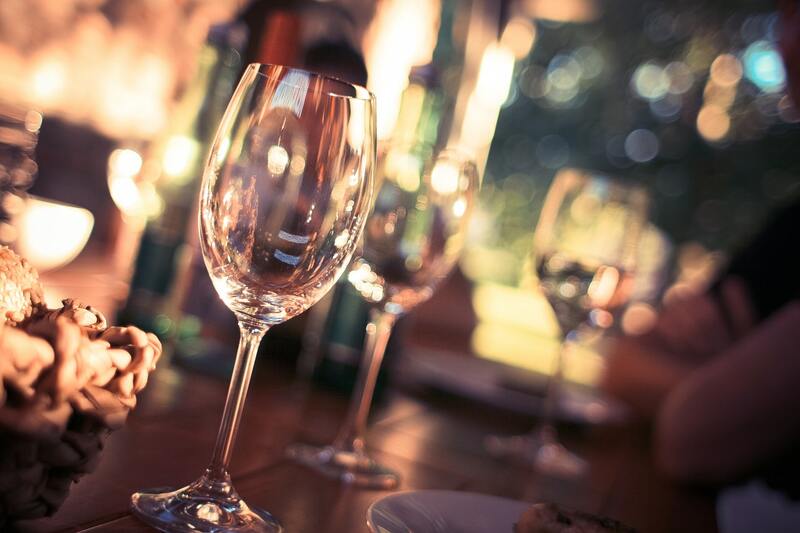 Remember the general rule of thumb; for the perfect dining and drinking experience, you need to either complement or contrast the flavors of the dinner and the wine. Let us have a look at the pairings. Meals with citrus or fish are usually acidic, and if you are choosing a wine with lower acidity you will be disappointed, surely! The acidity of the food will be stronger than the wine thereby overpowering the flavor of the drink. Choose a higher acidic wine to match with that of the meal and enjoy the pure pleasure. The sweet and salty combination works everywhere, even for wine pairing. A sweet wine brings out the best of a salty meal by cutting down the saltiness of a preparation. This will also make sure that the flavor of the wine is highlighted. With fatty foods the choices of wine are numerous, and various combinations work like magic. The first pairing from our expert’s suggestion is the classic bitter wine and fatty food combination, especially when going for a rare/medium stake. Fatty foods gel well with high acidic wins like the Beurre Blanc. This is the reason why the white and the butter sauce combination is so popular. The acidity of the wine will cut through the fat and give you a one of a kind experience. Fun fact, this type of wine can even be enjoyed with desserts including rich and fatty cheesecakes. The next choice is for the pros. All of you serious connoisseur and drinkers can go for wines with higher alcohol content. But consider the option at your own risk. You can savor a high alcohol wine slow with rich desserts or dinners, but it might leave you feeling tipsy. The characteristics of the wine and food are brought forth by combinations that work. Ideally, you should select wines that originate from the same geographical location as the dish you just ordered or prepared. Regional pairings are not for everyone but for the most part they taste great together since they grow together. Traditional Italian dish with Italian wine will have complementary characteristics; that is a general idea. Keep in mind these unique tips to make the right choice about wines with your dinner.